While over in Victoria For Spinnakers Brewpubs 30th Anniversary party on May 15th, 2014 I was able to take a quick tour of their brewery at the pub. I am amazed at how small the brewery is considering their beer is available in Metro Vancouver as well as all over the Island. It may be small but they sure are making some great beers! The pictures are a not the best from the tour as everything is very cramped in the brewery and cooler area. They have expanded out into the parking lot now though so there is signs of expansion beyond their tiny brewery. I look forward to trying the new brews that they release. 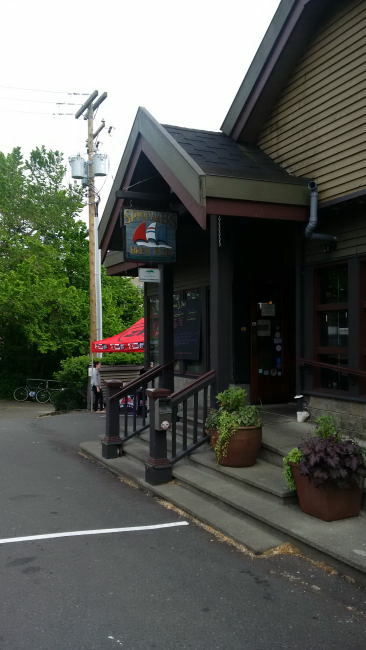 This entry was posted in Brew Pub and tagged bc, beer, brewpub, canada, craft beer, spinnakers, spinnakers brewpub, victoria, waterfront.